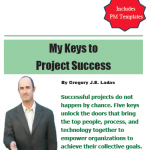 GET THE KEYS TO PROJECT SUCCESS! Subscribe to our newsletter for invaluable resources – specific to Higher Ed IT, including articles, project tools, templates, information for networking opportunities with your peers, and more! You’ll also receive a free download of the ebook, My Keys to Project Success, filled with great tips for a successful project.